Yes, because moaning is just selfish. 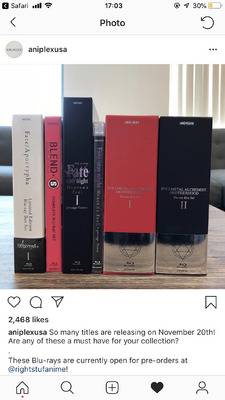 You don't want them to release them on the same day purely because you can't afford it, even though others can, despite the fact that they'll be available for a good amount of time after the release date. You say why didn't they release a complete set, whilst also saying you like splitting the payment? Like, maybe that's why they're splitting it? You don't have to get ultra defensive and pretend I'm attacking you when I'm only trying to have a discussion. 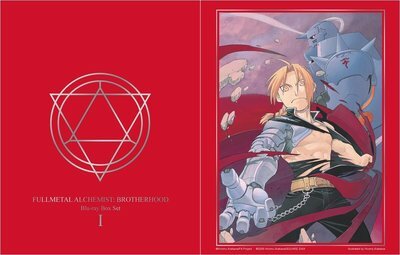 Well I ordered both FMA:B sets the day pre-orders went up, because yes I am an Aniplex Fanboy - pant! pant! I've got about 90 Aniplex releases in my collection now. Will that include Blend S? See, that's exactly what I hate the most about anime comedy - manic screaming/spazzing out scenes and switching into chibi style. ugh. So..... Apart from some kitsch what does this release actually bring to the table to justify it's price? Is it a new remaster or the same upscale used in previous releases? It will be clones of the JP discs so less Banding than funis. I admit for most people FUNis is fine but for Americans it is just good this show is back in print as it is cheaper than some people were scalping their sets for. Ah thanks. I didn't realise it was out of print. I picked up mine for about £60 all in all and I've seen the parts cheap in places. My collection is half manga uk & half madman. 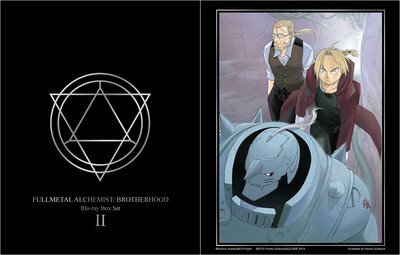 I just scalped my Blu-ray copies of Fullmetal Alchemist: Brotherhood last week - the two-part Funi re-release and the OVA combo pack, all three still New/Sealed and stored in clear P.E.T. box protectors to protect the slips, for a whopping $70, lol. I wasn't greedy, I just wanted to dump them for what I originally paid for them on sale. I'm keeping Funi's original 5-part release in their metallic side-load slipboxes, but I immediately pre-ordered the Aniplex sets as soon as they were announced and went up, because Aniplex - and Aniplex is God to me as far as US anime is concerned. Why make Heaven's Feel so tall? None of the other Fate sets are that size. Digipacks can be G2 size as well. Also Fate/Grand order OVA from them is also G1, so it's not the only one. Still, next to Zero and UBW it'd look silly.